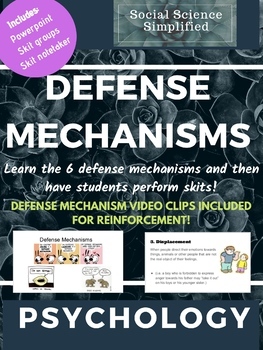 Teach your students about the 6 defense mechanisms and how to identify them in everyday life. Each defense mechanism includes a definition, a real life example, and a pop culture video clip to reinforce the concept. Once students have learned about the defense mechanisms they will create and perform a group skit on one of the 6. 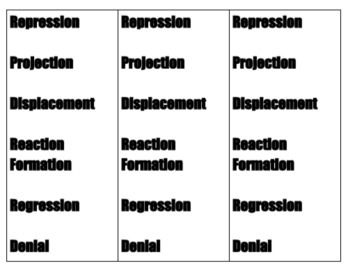 -A PDF of the 6 defense mechanisms to print out and have students draw for random group selections.